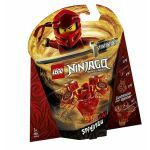 LEGO Ninjago is one of LEGO's product lines. The theme focuses on Ninjago, a fictional world that is inspired by East Asian myths. 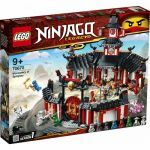 Just like the futuristic vehicles, historically designed buildings, and skyscrapers seen in Ninjago, the LEGO sets based on the animated TV series have impressive details and surprising elements that will keep Ninjago fans of all ages hooked. 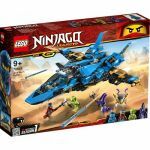 This line is so successful that Warner Bros. Pictures released a LEGO Ninjago adventure-comedy film which follows the story of Lloyd Garmadon, and his epic showdown with his villainous father. 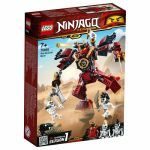 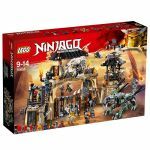 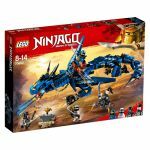 The sets under the Ninjago line focus on the trials and exploits of a group of ninja warriors as they battle to retrieve the precious weapons of Ninjago. 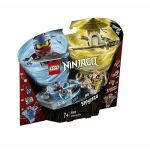 Some of the notable characters that are included as minifigures in the Ninjago sets include Master Wu, Cole, Kai, Nya, and Lord Garmadon. 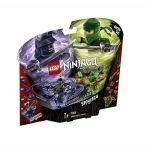 Since 2011, LEGO has released more than 250 sets under the Ninjago line. 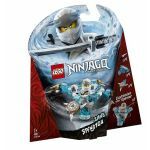 Each season of the TV series has a minimum of six corresponding LEGO sets that are released within a given year. 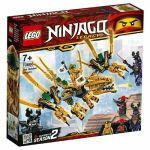 One of the first LEGO Ninjago sets released is the 2258 Ninja Ambush model that consists of a catapult, a Kai and Bonezai figure, and weapons including a black sword.